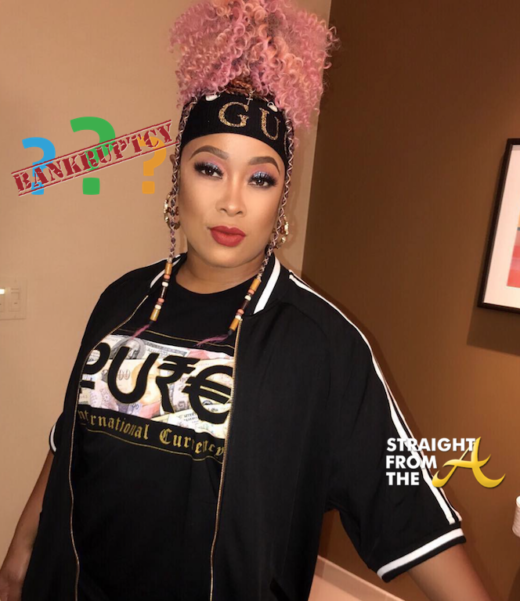 Uh oh… it looks like DaBrat may be in for a long battle if she thinks that bankruptcy is going to relieve her multi-million dollar debt. Shayla Stevens, the former cheerleader who was assaulted by DaBrat (aka Shawntae Harris) in a nightclub several years ago, won a $6.4 million civil judgment against the rapper which still remains to be paid. 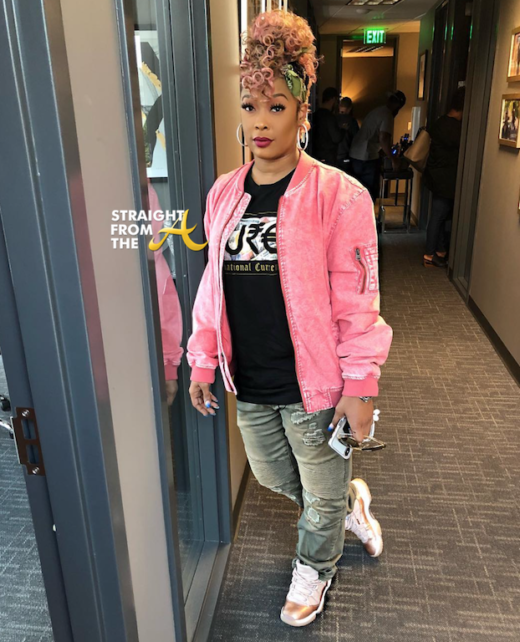 DaBrat filed bankruptcy last year hoping to discharge the debt, however Stevens recently filed a lawsuit to prevent that from happening. NEWSFLASH!!! Shawnta “DaBrat” Harris is off the hook for jail time at the moment. As previously reported, DaBrat filed bankruptcy earlier this year to avoid paying millions in a civil suit won by Shayla Stevens, the victim in her club bottle bashing incident. 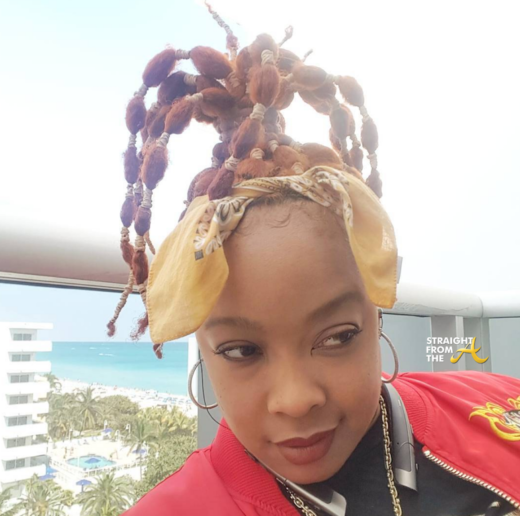 Stevens, an ex-cheerleader, previously sought to have the rapper jailed for being in contempt over the unpaid judgement, however a judge has ruled that DaBrat can remain free to walk the streets while her bankruptcy case is proceeding. Shawntae ‘Da Brat’ Harris has filed for bankruptcy protection against her creditors. The rapper turnt radio personality recently filed for Chapter 11 bankruptcy, revealing she is over $7 million in debt and the bulk of her obligations lie in a civil judgement over a fight in a nightclub. Bankruptcy may be a smart move financially for the superstar, however she’s not getting off the hook that easy. WTF?!? DaBrat Facing Garnishment Of Over $6.7 Million From 2007 Bottle Incident…. 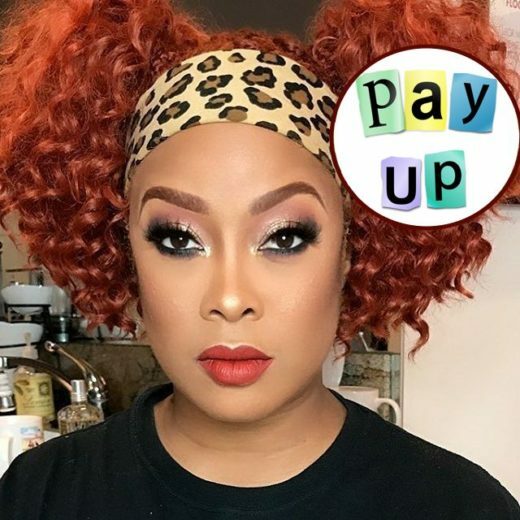 Rapper Da Brat has been steadily on the rise with her ‘comeback’ after serving jail time over a club brawl but she’s now facing a severe financial setback. If you recall, the rapper was ordered to pay millions of dollars in damages back in 2014 to Shayla Stevens, the former Atlanta Falcons cheerleader she smashed in the face with bottle back in 2007 . Welp, Shayla wants her dough and now she’s filed several garnishment documents in an attempt to secure payment. 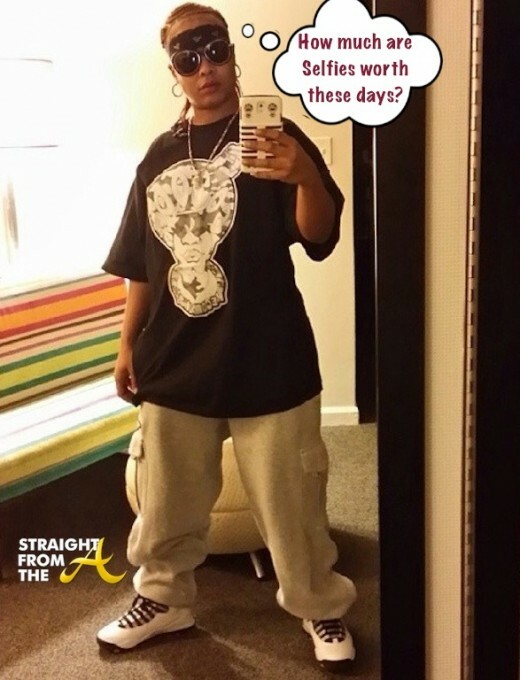 It’s only been about three years since Da Brat (aka Shawntae Harris) was released from prison after serving 21 months for a nightclub assault and it’s been less than a week since the Atlanta-based rapper was ordered to pay Shayla Stevens, the victim in the incident, $6.4 Million dollars in a civil suit. According to court documents, Da Brat’s role in the bottle-wielding incident caused permanent facial scarring, neurological impairment, and severe mental pain to Stevens, a waitress & former NFL cheerleader.